Just like the title of this special collection suggests, expect to find this programming in your Xfinity On Demand menu year-round. This collection includes more than 100 titles of content including historical documentaries, biographical films, Comcast’s original Voices of the Civil Rights Movement profiles, network specials and more. This special section puts the spotlight on women (and men) of color who have behind-the-scenes roles in film. Whether through directing, costuming, or even risking their lives as stunt doubles, Xfinity captured exclusive one-on-one conversations with these talented individuals. 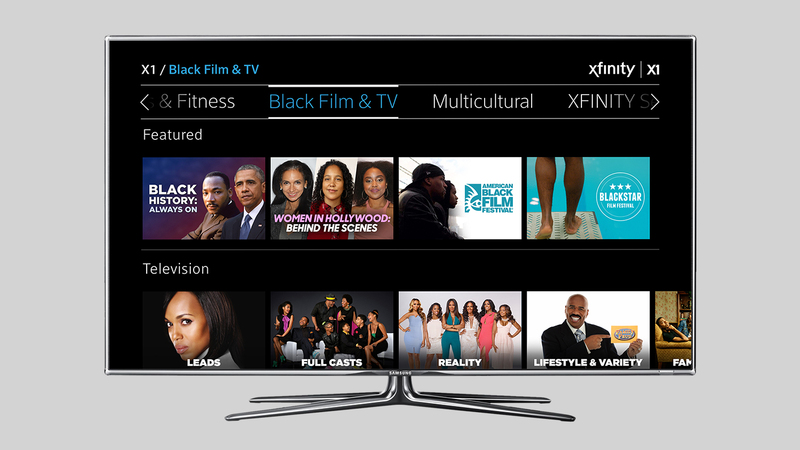 In partnership with American Black Film Festival and BlackStar Film Festival, Xfinity will launch a special collection through our Streampix On Demand service, offering access to short and feature length films and webisodes from alumni filmmakers from past festivals.